Before you commit to your room addition project, you may consider reconfiguring your current space to make more sense. Think about the spaces you currently have including an attic or basement, which could be used to meet your unique needs for more room. You might also have a room that is very rarely used that could be repurposed in accordance to your budget. Instead of adding a new room including master or kitchen suite, you might be able to get rid of the interior walls to incorporate adjacent spaces. Even with the need for patching several areas of flooring and ceilings, as well as building new support for replacing load-bearing walls, the cost is may be lower than a full addition. Always assess your home’s existing footprint to know if there are good ways of using the space you have. Once you have decided that the room addition is the perfect solution for you, determine the necessities for your new room. Think of all the things that your space currently lacks and how the new room can offer it. Keep in mind the use of your existing rooms and determine the issues you need resolved. For instance, if you are building a new kitchen, you would want to consider having a flow that will match the way you prepare ingredients, clean, and cook. For new bathrooms, consider the number of family members who will use it. Having a clear view what you require is a way to ensure you end with the best room addition. Unless you’re very skilled in construction work, room additions aren’t a DIY project. There are several homeowners who decide to do the job. But, being your own contractor requires knowledge of construction and materials. Plus, you also need skills and time to manage everything. The best way to build a room addition successfully is through hiring a professional home improvements contractor: Elite Improvements. Are you ready for your room addition project? Elite Improvements is based in Burlington, Wisconsin and services the surrounding areas including but not limited to Union Grove, Waterford, Elkhorn, Lake Geneva and Wind Lake. 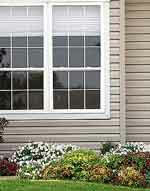 Contact Elite Improvements for your free home addition estimate in Burlington and surrounding areas. Your kitchen and bathroom are two of the most important parts of your home. Unfortunately, at one point, these places need to be given either a minor or major face lift. Some people think that kitchen and bathroom remodeling projects are overwhelming. But the truth is, there are several simple tips that you can follow to get your dream bathroom and kitchen. Avoid blowing out the side or back or your home with a huge addition, unless you plan to live there for many years to come. Elite Improvements can help you find ways you can reconfigure the existing space to make things work better. We can work on a new layout of your kitchen. That tub that you seldom use can be removed and converted to a stand up glass shower. You can also get rid of the formal dining room that you only use once every year and go for a family room or a larger kitchen instead. Among the best things about not going to bigger spaces is that you can splurge on features that will be much more usable for your family and friends. It could be a walk in show, granite countertops or a glass tile backsplash. Create key elements that serve as focal points that perfectly reflect your tastes, style and preferences. When thinking of starting a kitchen and bathroom remodeling project, you might want to know that energy efficiency is not merely a market buzz. The truth is, it can help you save money in both the short and long term. Doors, windows, insulation and appliances that are energy efficient are not just smart decisions for the planet but also sincerely smart investments for your pocketbook. You can eliminate seldom used spaces, dining rooms or living rooms. The latest trend these days is to open spaces that will give you the chance to use your house to the fullest while enjoying an ability to entertain. For instance, if you have a small bathroom that sits next to a seldom used guest room, you can knock out the walls and create a luxurious and spacious master bath instead. Elite Improvements home remodeling company out of Burlington, Wisconsin will make sure that all these things will be considered to create that wonderful home that you want and deserve. We service Burlington, Union Grove, Waterford, Elkhorn, Lake Geneva and surrounding areas. Contact Elite Improvements for your free kitchen or bathroom remodeling estimate today.